Who doesn’t love Winnie the Pooh? A cherished childhood tale for close to a hundred years now, one that resonates throughout not just one’s childhood, but an entire lifetime, this A.A. Milne story has quite the lasting power. Unlike the horrendous recent reboot of Peter Rabbit, Christopher Robin doesn’t try to cringingly modernise this tale, but expand upon it whilst keeping its charming essence. The only modern aspect about this film is the CGI that so realistically and wonderfully helps bring these childhood characters to life. This new adaptation is quite different to the others, as it isn’t a cartoon like the classic movie or its 2D reboot in 2011, and it’s certainly not a drama film like last year’s Goodbye Christopher Robin, so don’t get the two confused. 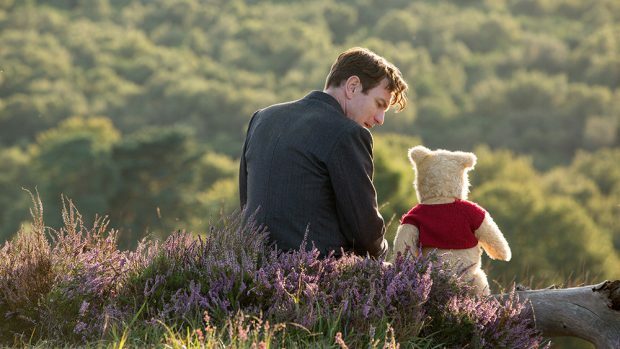 The simple tale in this one shows a prologue of a young Christopher Robin parting ways with his beloved animal toy friends, before cutting to an adult Robin (Ewan McGregor) who is dealing with the disappointments of his adult life, notably the prominence he has to give to work over his family. But his adult life woes are both intensified and alleviated when he is reunited with his cherished childhood friends from the Hundred Acre Wood. 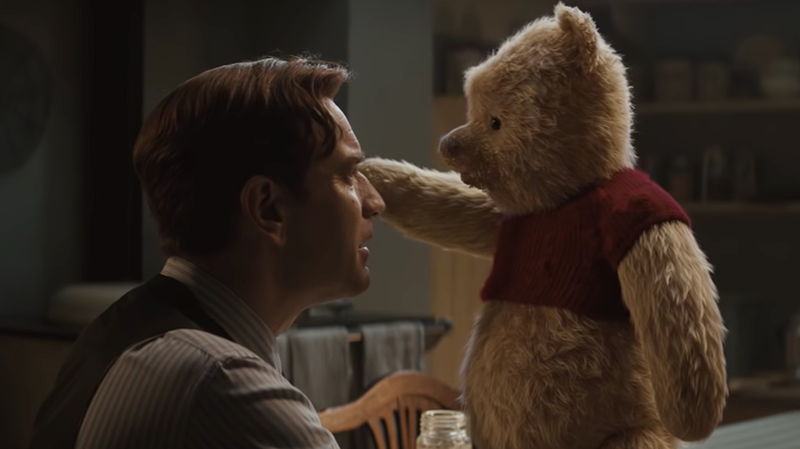 Although Ewan McGregor is a snug fit as the titular character, this adult Christopher Robin is very generally drawn with no real palpable character traits. This titular character works better as someone to play off Winnie the Pooh (and his friends) who really steal the show. He is so effortlessly charming as the little life-loving teddy who is able to roll with wherever this adventure takes him. His simple-minded outlook on life comes through so earnestly through each perfectly scribed and voiced sentence to emerge from this CGI delight: where Robin frustratingly tells him “there’s more to life than just balloons and honey”, Pooh responds with “are you sure?”, which is just one of his many moments that come across as more amusing than he intended. Although the fuzzy digital creatures are more life-like than the actual human characters, this fairly clunky and not-too-eventful film manages to still be entertaining and endearing because of these classic A.A. Milne characters. This new Winnie the Pooh rendition differentiates itself from the others because of its focus on the importance of remaining a child at heart while growing up. It’s a similar theme to Toy Story 3, though this film unfortunately doesn’t quite have the conviction to introduce a necessary sense of darkness that the best Pixar films manage to do. But Christopher Robin still exists as an enjoyable delight that is an understated, yet proud continuation of this beloved franchise.